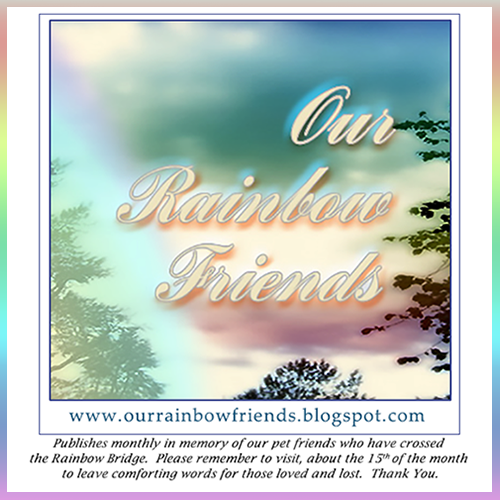 Over they last few months many have lost loved ones and pets. Are feeling overwhelmed everyday things. I know there are many many out there I don't even know about so today I wanted to leaving blessings and prayers for all for your individual needs. I agree we all need it, thank you and one for you also. What a beautiful message, C!!! We are including you and your family too! I'm glad you put non-furry. The peeps remember my predecessor, Boomerang the cockatiel. What a lovely message. We are all dealing with stuff at all times in our lives and knowing people care is helpful! What a lovely message Cecilia. Just know that we think about many of our Blogville friends every day. Sometimes we need a little pick me up too so thanks for thinking of everyone who needs a little hug today. There never seems to be enough POTP to go around. This was such a kind and beautiful thing to do. Thank you. Thank you for such a thoughtful post. So many losses ! You are truly wonderful. You help make Blogville a happy and loving place.